If you want to try a variety of SketchUp geometry projects, this sampler is a great way to get your feet wet! 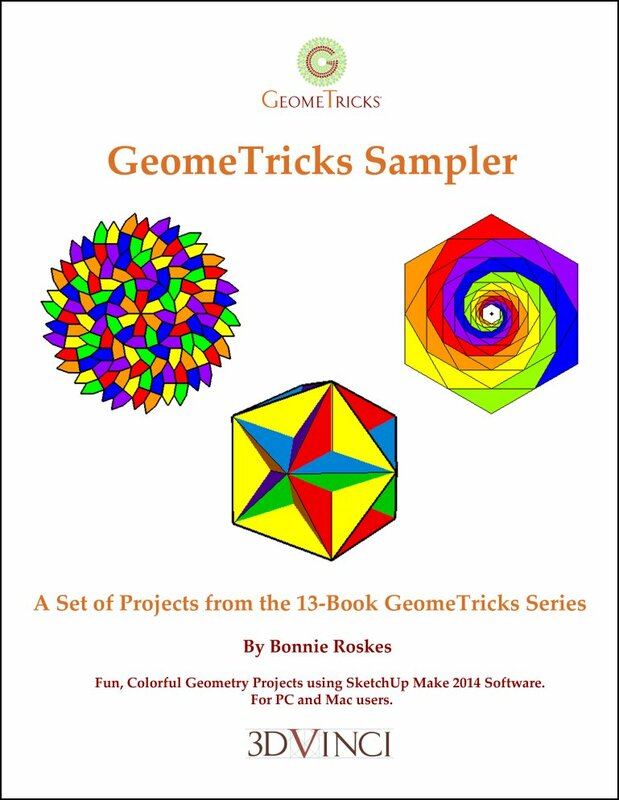 The 12 chapters in this book contain fun 2D and 3D projects from each of the GeomeTricks books. You'll create mosaics, fractals, tessellations, objects with linear and rotational symmetry, and 3D Platonic and Archimedean solids. For both Mac and PC users, SketchUp Make 2014. 100 pages, printable 8.5" x 11" PDF format. Download info will be sent within one business day.